Successfully Added Iradish X3 Smartwatch - 1.33 Inch IPS Display, 240x240 Resolution, Quad Band SIM Support, Pedometer, Sleep Tracker (Gold) to your Shopping Cart. Fresh from Iradsih comes the X3 Smart watch, this uniquely deigned timepiece has a square case surrounding a classic circular face and combines phone capabilities in a stylish wrist watch to bring you instant communication on the wrist. This beautifully designed and elegant smart watch is deceiving at first sight as to the untrained eye it may appear as a normal timepiece but on closer inspection you'll find a surprising wealth of smart features and functions. Pair this smart watch with your Android 3.0 or above Smartphone for the full host of features and receive messages and calls direct to your wrist. With advance features the Iradish 3X watch phone brings pedometer and sedentary reminders to your wrist allowing you to set daily exercise goals. The sleep monitor will even track you as you rest so you can get a complete picture of your health and fitness. The GSM SIM card slot allows the watch to take calls independently of your phone and the quad band coverage means you can enjoy phone calls and messages direct to your wrist from almost any corner of the globe. With the Iradish X3 on your wrist you can travel light and leave the phone at home. A micro SD card slot allows for plenty of storage space and as the smart watch is able to play media files this bodes well for heavy media collectors, who can now take their whole music library with them on their wrist. 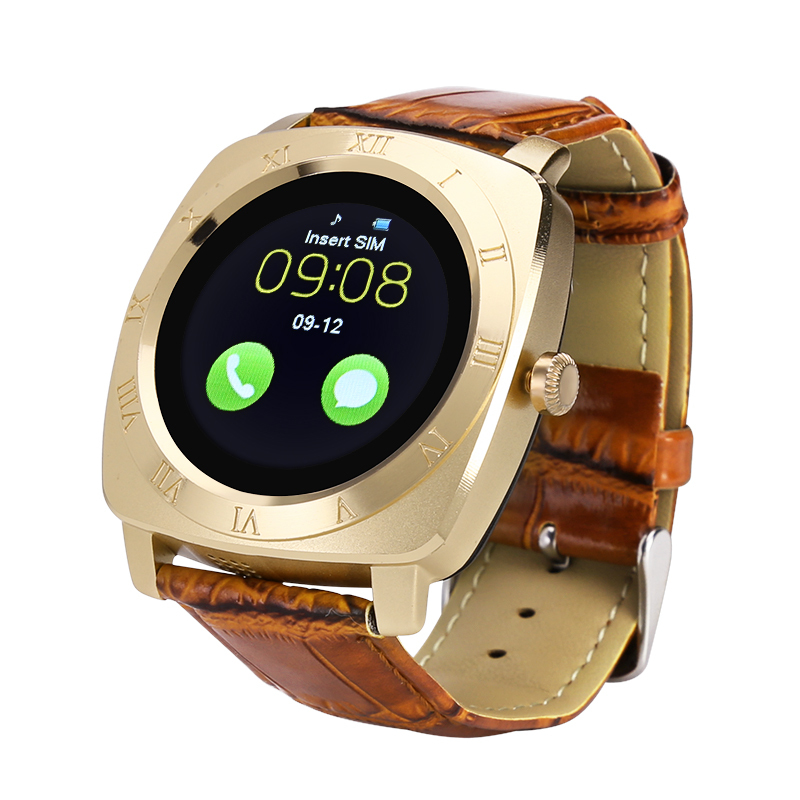 The Iradish X3 smart phone watch comes with a 12 months warranty, brought to you by the leader in electronic devices as well as wholesale electronic gadgets..